You are invited to attend a ceremony for the SAKYA PANDITA. 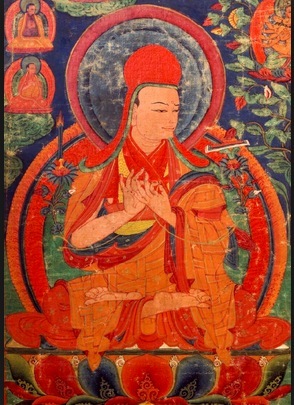 Sakya Pandita was born in 1182 in Sakya, Tibet and passed in Liangzhou in 1251. As a little child, he had amazing abilities to learn reading and writing Sanskrit and Tibetan, and all other subjects. He received tantric teachings, performed practices, and gave commentaries from a very young age. He became known as a great scholar in Tibet, Mongolia, China and India and was proficient in the five great sciences of Buddhist philosophy, medicine, grammar, dialectics and sacred Sanskrit literature as well as the minor sciences of rhetoric, poetry, dancing and astrology. His teaching legacy reached far and wide. He was the fourth Sakya founder and sixth Sakya Trizin and one of the most important figures in the Sakya lineage. Venerable Lama Kunga Rinpoche will kindly bestow the empowerment and practice teachings of Marichi (Lhamo Ozer Chenma). There is no prerequisite. Everyone is welcome. The date is Sunday, December 27. The time is 1:00 p.m. Please arrive earlier to register at the door. The requested donation is $30.00. Dana (offerings) the the Lama and attending monastics is separate. 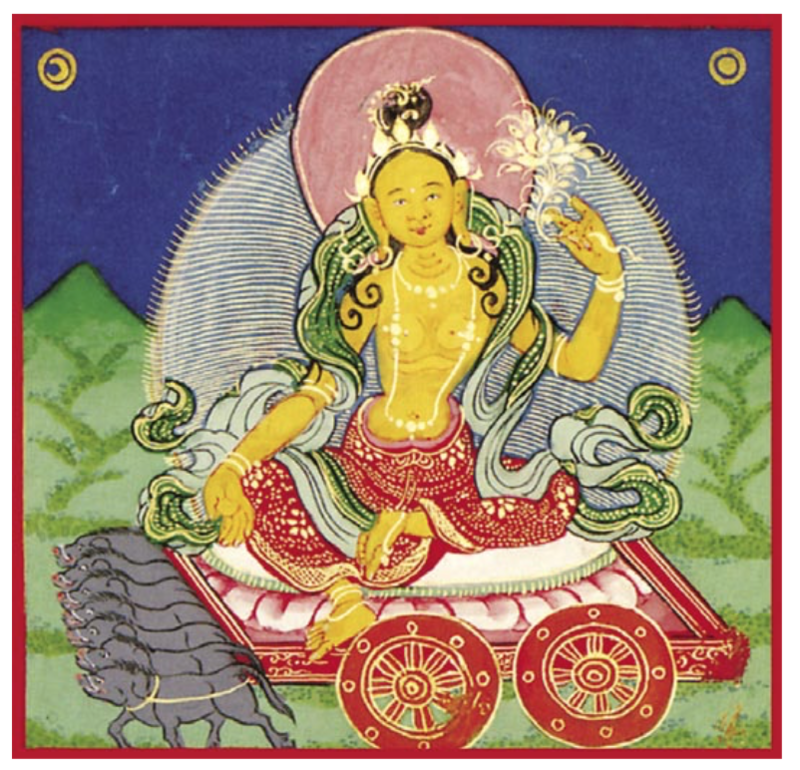 Lhamo Ozer Chenma, the Queen of Light, drives a cart pulled by seven swine. The embodiment of the first rays of dawn, she is invoked by travelers for protection from all hazards of the road. Her ability to dispel the fears of the night, helps us to confront our fears and violent tendencies.